Chattanooga may be an outdoor adventure mecca, but that shouldn’t stop you from exploring its bustling downtown. Those who want to hit the pavement can visit a wealth of engaging downtown attractions that stimulate both the body and mind. 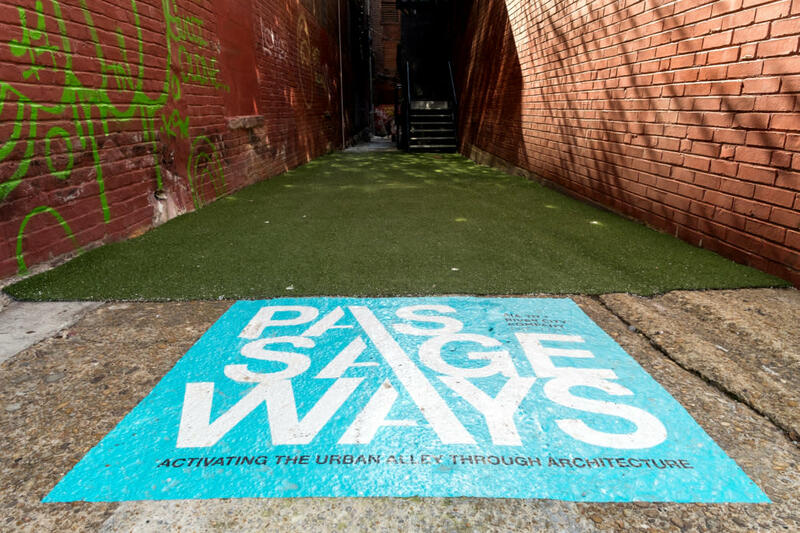 One of these arrived in August 2016, when Chattanooga hosted the American Institute of Architects State Convention, which prompted the creation of Passageways: Activating the Urban Alley through Architecture. The goal of this community outreach project was to highlight forgotten spaces. Focusing on "the urban fabric" between buildings, the Passageways reveal the untapped potential of alleys. These auxiliary spaces are often disregarded, designed solely to house society’s unphotogenic necessities: dumpsters, mechanical units, and fire-escapes. The Passageways project created stimulating destinations in previously overlooked voids. Running is a great way to explore both these Passageways and much of downtown Chattanooga. For visitors to the city, it’s the perfect way to explore the art instillation and see some parts of the city that you might otherwise miss. You’ll find the Passageways nestled among the 700 blocks of Broad, Market, and Cherry streets. Previously blank canvases, the alleys transformed into artistic spaces of reflection and human engagement. Revitalizing urban spaces to increase livability certainly extends beyond Chattanooga’s Passageways. Take Miller Plaza, for example. This versatile city park invites you to unwind over lunch or enjoy a memorable show at the Nightfall Concert Series. You can start your 5k run here, by heading north on Market Street and crossing 8th Street before stopping at the Passageway on your left. 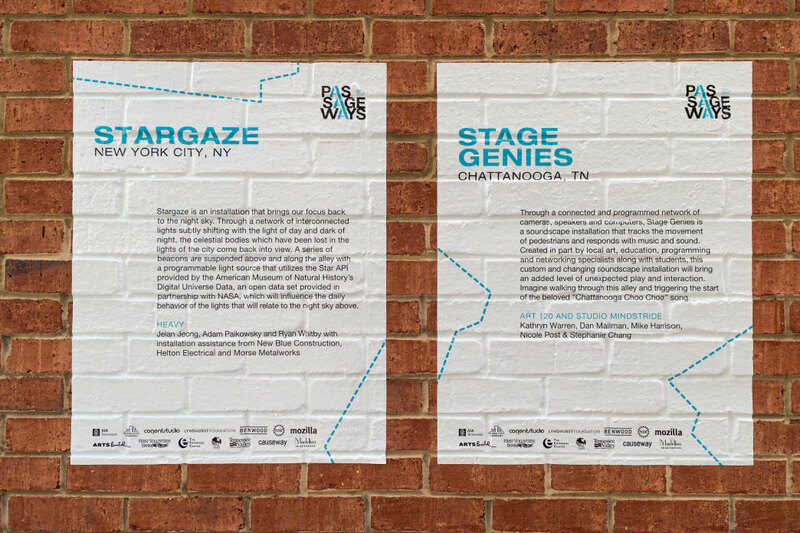 This Passageway integrates two exhibits into the built environment: Stargaze and Stage Genies. A network of suspended, interconnected lights, Stargaze glows and directs your focus to the sky. Star API provided by the Museum of Natural History’s Digital Universe Data and NASA influences light settings that mimics the current night sky. This playful, imaginative installation mentally brings you closer to the cosmos. Stage Genies complements Stargaze and incorporates sound and motion. Through a network of cameras and speakers, the soundscape installation entices pedestrians with music and sound. Local art, education, programming, and networking specialists worked with students to develop a whimsical soundscape that encourages interactive play. As the Passageways website suggests, imagine walking through this alley and triggering the start of the beloved "Chattanooga Choo Choo" song. Stargaze and Stage Genies invite you to open your eyes, ears, and mind to the world around you and engage with your companions on the pavement. Continue your run on East 7th Street, and head northeast on Georgia Avenue. Wave to diners at Urban Joint, hanging a left onto East 6th Street. You’ll bisect both Market and Broad on the way to the historic Second Presbyterian Church. The next Passageway is in between Chestnut and Broad, next to the Tivoli Theatre. It’s fitting that a space celebrating the interaction between humans and the urban environment flanks this architectural gem. Neural Alley represents the interplay between analog and digital processes that make up our world. 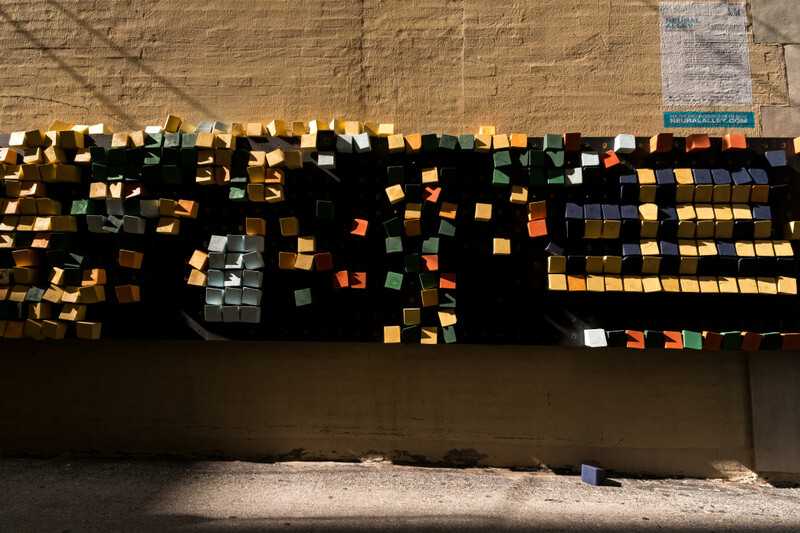 Painted cubes on an oversized pegboard created two images of the Tennessee River: before the dam network developed in the 1930s and after the river’s course was changed. Move the cubes to create your own visual narrative. The evolving images are recorded and digitally displayed to capture individual contributions that form the lifespan of Neural Alley. Here, you’re confronted with the passage of time, and the fates of humans, nature, and urban spaces. After taking in those existential pontifications, continue down Chestnut Street to the Main Terrain Art Park. Between West 13th Street and West Main, the Main Terrain Art Park is a multifunctional public area that marks the termination of long-abandoned railroad lines. The previously vacant lot is now an "urban art fitness park." Five fitness areas intended exclusively for adults border a track and an attractive stormwater management site. The park’s centerpiece contains three large sculptures capped with bridge-like forms. Visitors can rotate these forms by turning a wheel located on the pylons. Augment your run with fitness structures inspired by playgrounds of your youth. Follow Cowart Street and Broad and turn right on Houston Street. You’ll pass Warehouse Row before turning left on East M L King Boulevard. The Bessie Smith Cultural Center is well worth a visit for educational exhibits about African American history and heritage. Continue to the 700 block of Cherry Street and visit the final two Passageways before completing your 5k. You’ve likely seen Grass Garden Inversion, which features locally sourced bamboo suspended from cables spanning the entire alley. Densely displayed and evenly spaced, the bamboo hangs freely, producing movement and sound. The aesthetic bamboo creates harmony between the natural and man-made environments. On the other side of the street, Urban Chandelier comprises 6,000 reflective styrene triangles suspended on carbon fiber rods above the alleyway. The precisely hung triangles reflect light patterns of both natural daylight and artificial illumination. 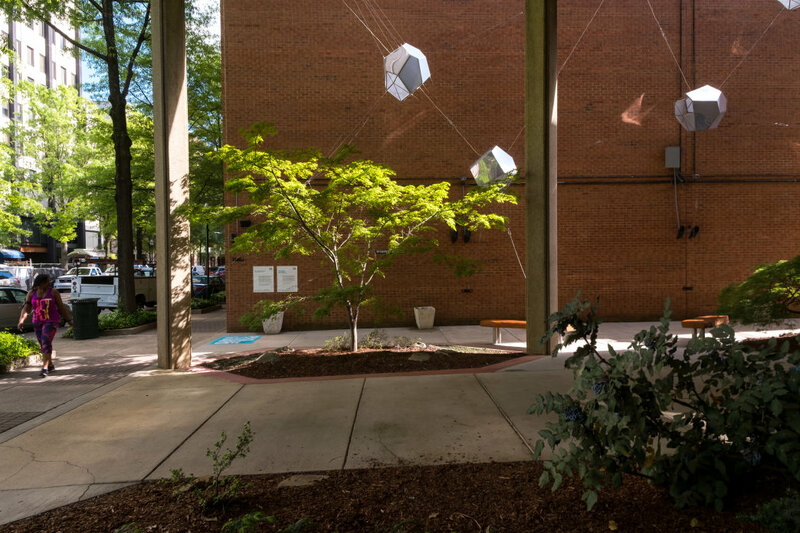 This installation relies on the environment, not premeditated lights, to augment the existing space, aligning natural light with the shadows and streetlights of built structures. Finishing at Miller Plaza, this loop presents a stimulating tour of Chattanooga’s urban spaces. 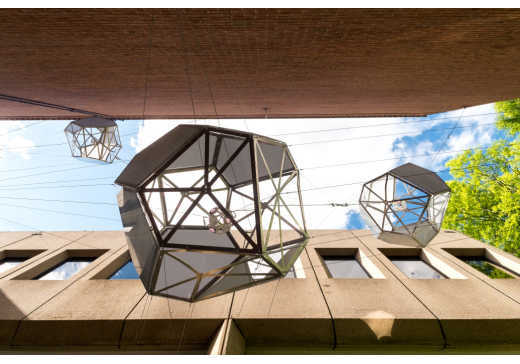 The Passageways highlight the interaction between humans and our built environments by highlighting the untapped potential of alleyways—and it’s certainly a great way to get even more enjoyment out of your morning run.